We know from the periodic table Carbon atoms have 4 valence electrons on the outer shells. 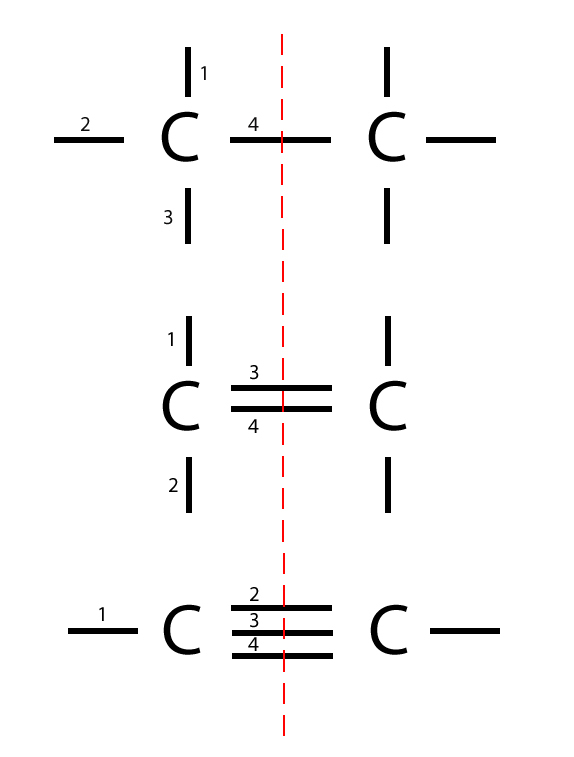 According to the Octet Rule of Electron Configuration, this means the four are free to wonder and find opportunity to PAIR UP with other atoms. That’s because The Octet Rule requires the valence shell or outermost shell of the atoms to have 8 electrons to become stable. 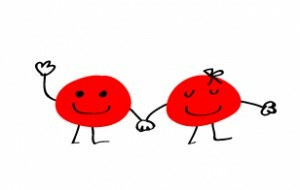 When two carbon atoms come together, they can each share 1 electron and form a single bond. That will leave three valence electrons from each atom to pair up with other electrons from other atoms they come in contact with. 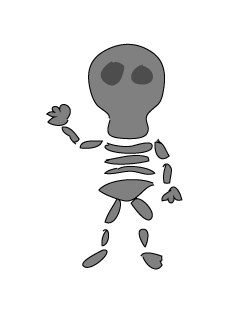 The skeletal structure shows the type of bonding between elements. 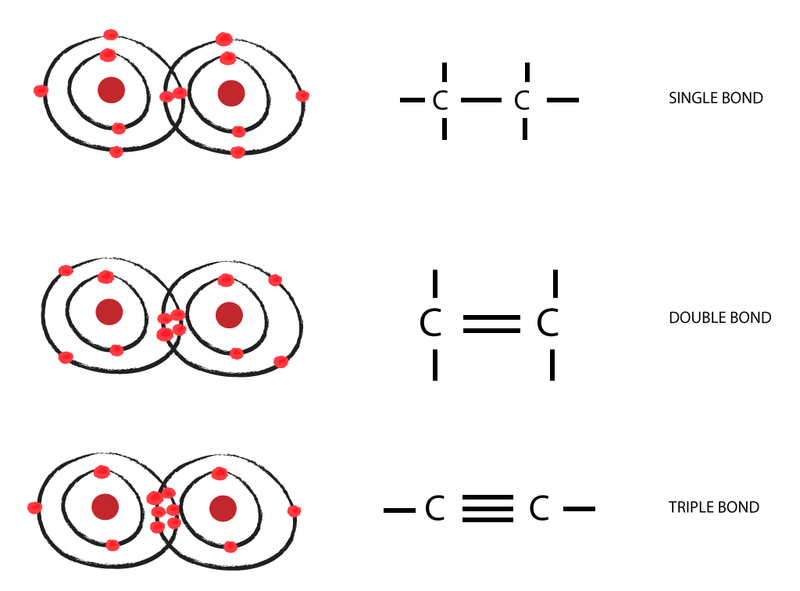 Here’s a trick – if you draw a line through the middle of the carbon bonds, you should be able to work out exactly 4 bonds on each side, because each carbon atom has 4 bonding electrons which are the valence electrons.